Another big achievement for the Kilimanjaro tribe! We are proud to share that Kilimanjaro Consulting has won the 2015 MYOB Enterprise Solutions Partner Excellence in Business Development award for the fifth year running. This award recognises the business that has generated the greatest success in sales for MYOB EXO in Australia. The prize for this award is a five-day paid trip to Noumea, New Caledonia for two people. Our Managing Director, Ronnie Baskind was proud of this achievement and said “We are thrilled to have received this award for the fifth consecutive year. The award comes at the same time as the announcement that we are MYOB’s only Diamond Partner. We have worked hard to provide real efficiency improvements to our clients. The market is the ultimate arbiter of value and 5 years represents very consistent performance. I have to give all the credit to the entire tribe at Kilimanjaro”. 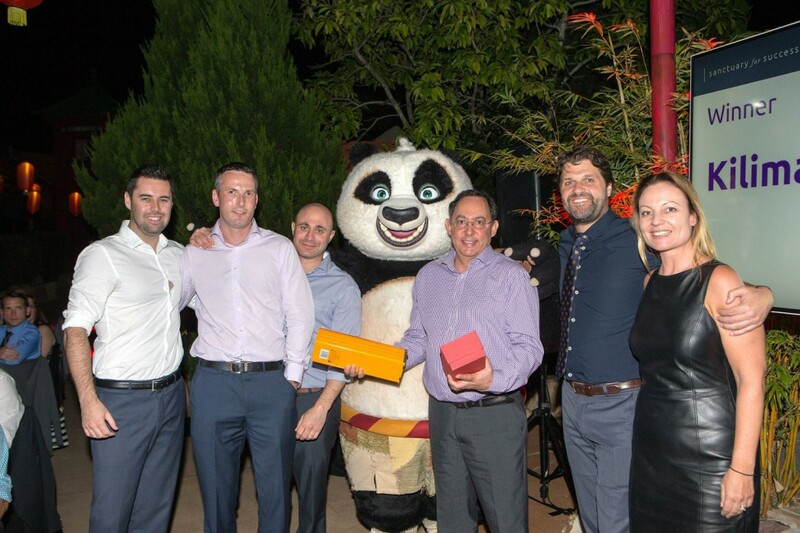 The MYOB Awards evening took place at the end of the Enterprise Partner Conference “Sanctuary for Success” held in Sanctuary Cove in early March. Kilimanjaro Consulting is MYOB’s only Diamond Partner, and a specialist implementer of MYOB Enterprise Solutions, which include MYOB EXO and MYOB Advanced. We were established in 2006, and have grown to be MYOB’s largest partner. We will be celebrating our 10 year anniversary in July 2016. The Kilimanjaro Consulting Sales and Management teams pictured with MYOB Partner Manager, Scott Salter.